Even if you’re not typically an artistic person, you can create a beautiful hand painted baby gift for the soon to be mom in your family or group of friends. Mom will be super excited to hang it in her little one’s nursery and the gift will be cherished for years to come. Before beginning to paint a picture, attempt to find out the colors or theme she will be using in the nursery and use that information. 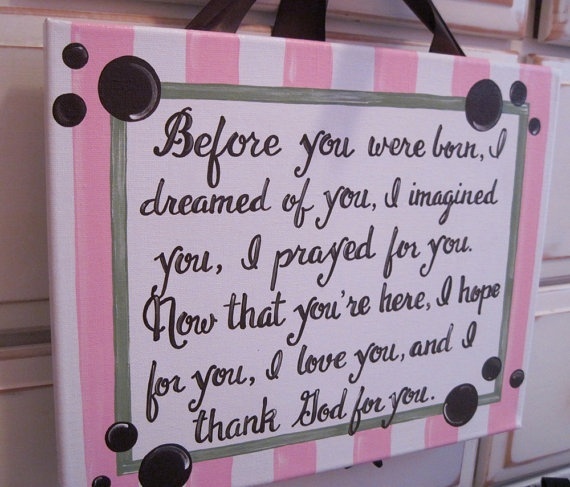 For this beautiful gift, you’ll need a piece of burlap (no smaller than 8 X 10), stencils of your choice and paint. Starch and iron the burlap so it’s nice and flat, and then utilize the stencils to create beautiful designs. You can do the child’s name or simple designs. Colors that look beautiful on burlap are pink, dark blue, gold and emerald green. 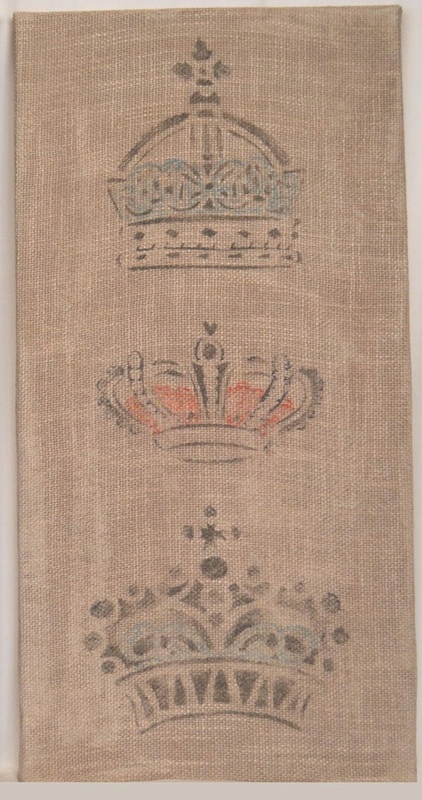 After the paint has thoroughly dried, put the burlap into a matted frame. 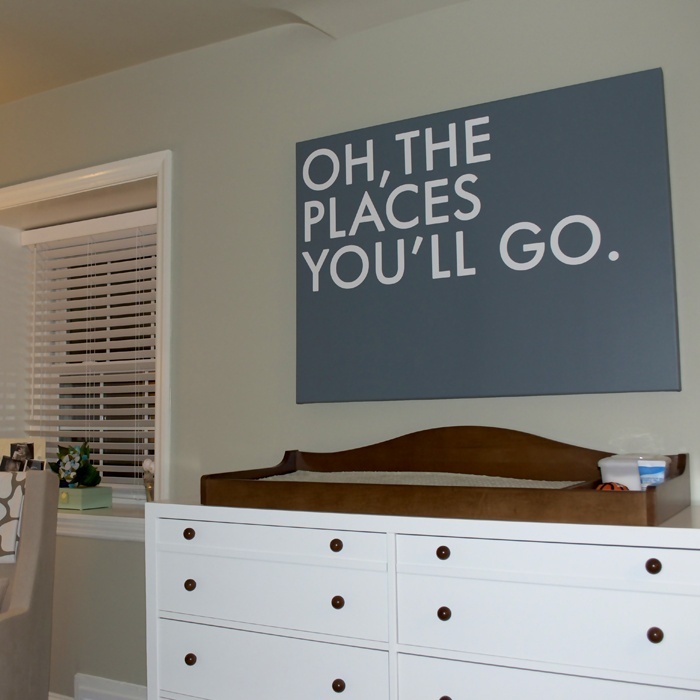 You don’t have to be Picasso’s descendent to create beautiful canvas arts as a baby shower gift. 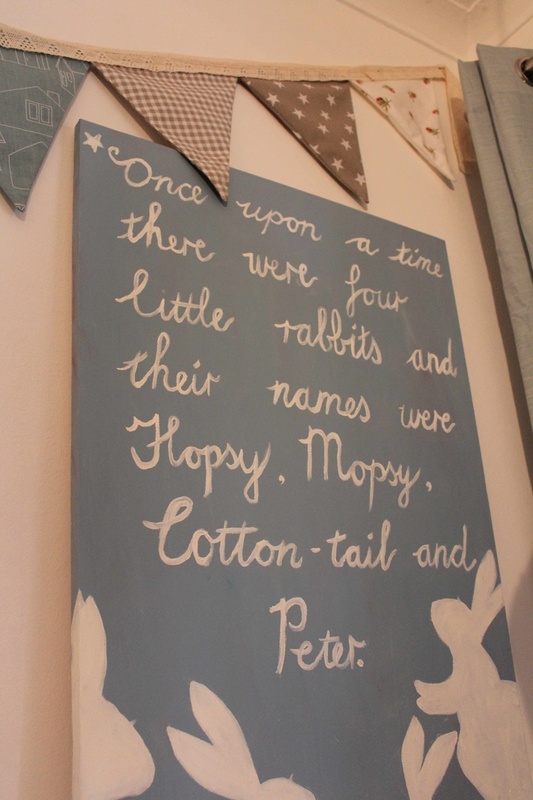 Using simple shapes and easy-to-paint designs, you can create super cute wall art. 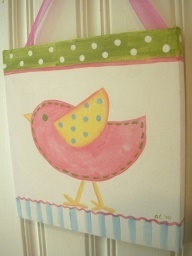 This beautiful little birdie is created using very basic shapes and pastel colors and it’s so easy anyone could do it. 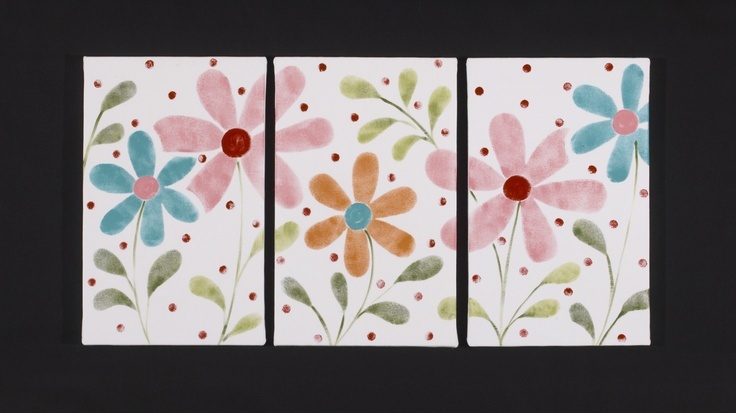 Create a beautiful set of hand painted canvas wall art by using stencils and watercolors. This set was created using simple 6-petal flowers and leaves. By just using your imagination and creativity, you can make a beautiful and cherished painting for a new mom to hang in her child’s nursery. It’s a gift that she will absolutely adore, and it’s easy to do! This entry was posted in Baby Shower Gifts, Baby Shower Trends and tagged baby shower gift, burlap painting, canvas painting. Bookmark the permalink.